We encourage our authors not to chase bestseller lists, but instead focus on the business and personal goals for their book. This confuses them initially (Having a bestselling book doesn’t get me more business? ), but once we explain the process and tradeoffs to them, the overwhelming majority discard it and focus more on the goals that are far more impactful to them. Simply put: every bestseller list is a lie because no bestseller list measures the best selling books. No bestseller list measures the actual best selling books. Every single list is either measuring a limited number of sales in a few places, or far worse, it’s a curated list and a small group of people are deciding what to put on their list. And they’re picking books based on what they think are “important” books, not based on what is actually selling. This is not my opinion. They all admit this. The most important bestseller list is The New York Times Best Seller List, and they are the worst culprit at this curated elitism. They readily admit that their list is only “reflective” of books that are selling at a certain number of bookstores and online retailers around the country—but not an actual best seller list. The New York Times won the case, in multiple rulings all the way up to the Supreme Court, based on the argument that the list is not supposed to be accurate, but reflects their judgment. It is a valid legal argument…but it also means The New York Times admitted that their bestseller list is just a popularity contest, and not a list of best selling books. In essence, they select who they will and won’t put in the “cool kids” club. It’s like high school all over again. I’ve seen this so many times, and so has everyone else in publishing. You can see this clearly if you have access to Nielsen BookScan, which is the database that tracks paid sales covering about 70-80% of book outlets. I have access, and I can see how much the New York Times list varies from the Nielsen report of actual books sold (anyone in publishing can see this, and it is a known fact). The same thing is true, to different degrees, with the other major national lists—The Wall Street Journal, USA Today, Publisher’s Weekly. OK, that’s fine. I’m not telling you it can’t be a goal. Goals trade off in all aspects of life. You can’t have pizza and Mexican food and Italian food for dinner. You have to pick one. Goals for your book act the same way. You can’t get everything; you have to focus on one or two goals. With the exception of a few fiction genres like romance and horror, The New York Times still won’t recognize any book that doesn’t come from one of the big New York publishing houses as being fit for their list (that’s why I said it’s a high school clique mentality). This is why most of the self-published or hybrid published books that have sold hundreds of thousands of copies over the past decade have never appeared on this list—they refuse to recognize them. Example: James Altucher’s book, Choose Yourself. I helped him publish that through my publishing company (which turned into Scribe). It’s sold over 500k copies since it came out. It even appeared on the Wall Street Journal Best Seller list—but no appearances on The New York Times Best Seller list, even though it has outsold 99% of the books that have appeared on that list since his came out. Why? Because it’s not through a major New York publishing house, so they won’t count it. This cannot be a hope or a wish. If you don’t have at least 10k pre-ordered books—through sales channels that The New York Times sees as valid and counts in their list—you probably won’t hit the list. That means books ordered or bought at a bookstore that reports its sales to the New York Times, or through Amazon or iBooks, or some of the other major channels that the New York Times counts. You can’t just order 10k copies from your publisher. They won’t count that. Even if you get a corporation to sponsor you and actually buy 10k copies, you have to route those sales through a channel that The New York Times counts—or they ignore them for the purposes of the list (yes, this is a total racket). And even better, they often won’t count any “bulk” sales, which means those sales have to be done individually. Many “experts” will tell you that you only need to sell 5k books to hit the bestseller list. That’s not wrong, but it doesn’t work many times. In my experience helping dozens of authors work through this process, if you are an unknown author, the bar is much higher than 5k. The 5k number is applicable to known authors and books that have already been on the list, but is very dangerous for first time or non-established authors. You spend a lot of money to buy your way onto the list. This is basically “cheating,” and it usually costs more than $250k (I explain how it works at the end). If you don’t have an audience or email list who are used to buying from you but think you’ll “go on some podcasts and throw out some tweets” and get that level of pre-orders, you’re delusional. That does not work. Only a systematic plan that is very well-executed will work. This is not 100% necessary, but the more “mainstream media” press you get, the more the book editors at The New York Times will consider your book to be “valid.” I was very serious when I said that this is a popularity contest, and to be popular, you have to show up at the “right” places (at least, the “right” places to them). When I say “mainstream media” I mean any media source centered around New York City or that the coastal media elite read and take seriously. Like I keep telling you, they are elitist snobs. They don’t count anything not in their universe, no matter how much it sells. By the way—mainstream press almost never sells books. This is only about getting the editors at The New York Times to take you seriously, not about selling books. What’s the Tradeoff of Going for a Bestseller List? There’s no guarantee you get a publishing deal: It’s a huge amount of effort to find an agent to represent you to a traditional publisher, and it’s very hard to do a good book proposal that will appeal to a publisher, and then you have to get offered a book deal—which in this day and age, you will not get without having a large audience to sell into already. Many people put all this work in and never even get offered a deal. Your book will take at least 18 months to publish: And that’s from the day you sign the deal, not the day you start looking (and it’ll probably take longer than that, honestly). You no longer own your book: You are literally selling them not only the upside profits of the book, but more importantly, you are selling them control of your intellectual property. Once they own the book, they only care about selling copies. You can no longer do anything with that book that doesn’t involve paying them for copies of it. If you want a book to help you promote you or your business, this is greatly restricts your options. They will make you write a book you don’t want: You want to position yourself as an expert in something, and they don’t think it appeals to enough people? They don’t care about you or your business, they only care about selling copies of books, so they’ll make you go broader. They will make consistently terrible aesthetic decisions that will ruin your content for your purposes, because publishers only care about selling books. You do all the work to sell it: They do no marketing. I cannot emphasize this enough—publishers expect you to do all the work of selling the book for them. They don’t have a plan to sell 10k copies your book. That’s your job. Simply put, these tradeoffs are not worth it for most authors. At Scribe, most of the authors we work with are not professional writers. They’re C-level executives, entrepreneurs, consultants, coaches, speakers, and other types of successful people for whom their book is not the end goal—a book is a way to reach another goal. 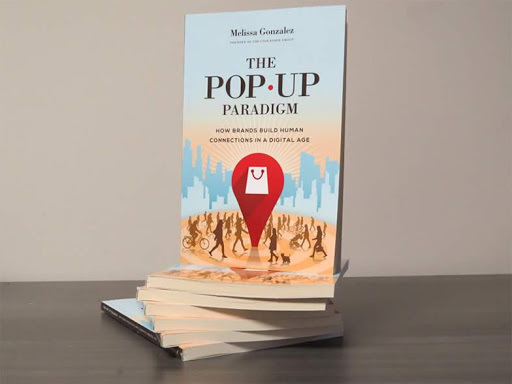 Their book will help them get them authority and credibility in their field, it can drive clients and leads to their business, it can get them speaking gigs; it essentially acts as an amazingly effective multi-purpose marketing tool to get them visibility. They don’t need to focus on selling copies, they need to focus writing the best possible book for their audience and their goal. And before you ask the question, selling copies and making money from a book are not always the same thing. If you are using your book as a marketing tool to get you something else (like authority and visibility in your field, or to draw clients to your business), then what matters is not selling copies or hitting a list, it’s the impact your book has with your intended audience. You want to understand the difference between bestsellers and impact? Read this article about what writing a book has done for Melissa Gonzalez. It tripled incoming leads to her business, doubled her revenue in two years, established her as a keynote speaker, and got her media in every important retail outlet. It was resounding success in all ways for her…and it did it while selling less than 1,000 copies. Selling copies matters if book sales are your only revenue stream—which is only true for professional authors. For people in business, a book has an entirely different purpose that often has no correlation with selling copies. Who Should Try for a Bestselling Book? All this being said, it does make a lot of sense for professional writers to focus on bestseller lists. Professional writers look at bestseller lists as a necessary evil in their industry, because they do confer status and help them gain credibility. So they get a smart long term plan to hit them, work the steps, and then once they’ve been on a few times they ignore them. Then, they focus on selling books directly to fans (to make more money), not hitting bestseller lists (which often means less money). But for authors whose main revenue source is their business and use books as marketing tools, I can tell you: hitting a bestseller list creates very few tangible results for your book. It doesn’t get your book much more attention. It doesn’t mean much for your business. It doesn’t help sales much. It doesn’t get in front of many more clients or help your marketing. I’m not saying it has zero effect. It can have some effect. Almost all of the impact of hitting a bestseller list is personal and social impact. There is not much business or sales impact, and when you measure the low impact against the high tradeoffs, it’s a bad decision. This is why almost all of our authors don’t end up pursuing it. The people we see who are most obsessed with bestseller lists are the authors who view it as a status marker that they can reach that will make people see them differently, and thus feel differently about themselves. Look, I am not judging anyone’s desire to raise their status by writing a bestselling book. My god—I put three books at #1 in the New York Times Best Seller List. Obviously I am guilty of this desire. My ego is fragile and needs recognition and validation, just like everyone else. But understand this: a bestselling book might make you feel good for awhile, but it will not get you any real respect or fill any holes in your soul. And even if you recognize that status as the reason you care about being a bestselling author, the best thing you can do is admit this to yourself. If you admit it, you can focus fully on that goal, make a realistic plan, and give yourself a realistic shot at actually hitting it. Now—if you have decided to ignore my advice—I will describe the rules of every bestseller list and how to get your book on them. Before I get into the major bestseller lists and their particular rules, there are two principles that apply to all of them; 1) velocity of sales, and 2) reporting. Selling 5,000 books in a year is a pretty solid performance, but it’s not going to get you on any of the big bestseller lists. Concentrate those sales in a week, though, and now you’re looking at possibly hitting many of those lists. That is the key concept you must understand for bestseller lists: it’s not how many books you sell, it’s how many you sell in a given time. 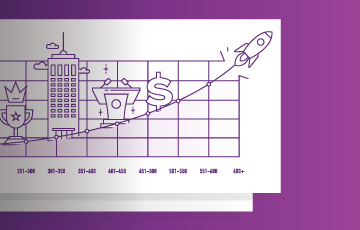 The timeframe changes depending on this list, but the more velocity of sales you create—meaning, the more sales you pack into the shorter period of time—the better. It is hard to sell 5,000 books in a year. To sell 5,000 in a week is ridiculously difficult, as evidenced that only a very small percentage of all books published each year do it. In fact, barring some extreme stroke of luck, the only way I’ve ever seen first-time (or lesser known) authors hit any significant bestseller list is by first creating a large platform with an installed audience that is waiting for the book, and then selling the book into that audience. Simply put: creating an audience of buyers for your book prior to your release is the best way to get the velocity of sales needed to hit a bestseller list. This is why setting a release date and concentrating your marketing around it is so important to hitting a bestseller list. Setting a release date creates a manageable, self-contained window to concentrate your marketing efforts on, and use them as a mechanism to create this velocity of sales. Not all book sales “count” for all lists, because there is no list that actually measures all book sales from all outlets. In the purest sense, there is no such thing as a “real” bestseller list. I’ll describe the counting methods of each list below, but the point is that you must know the way that lists counts sales, and then focus on creating velocity of sales in those ways only. Even though the odds are against you, it’s not impossible to do it. 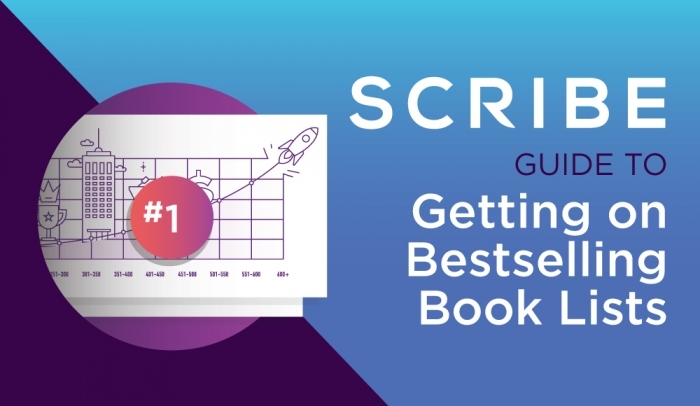 But if you want to have a shot to make a list, you must understand how bestseller lists work, so you don’t accidentally do something that interferes with the possibility of hitting the list. For example, when Marc Ecko’s book, Unlabel, came out in 2013, it sold over 15,000 copies the first week. This was more than enough to hit the New York Times Best Seller list, but the publisher had improperly listed Ecko’s book as an “art” book instead of a “business” book, and this decision alone kept the book off all the bestseller lists (well, that in combination with the fact The New York Times curates its list and decided to keep it off). This is considered the most important bestseller list, and the only one that people tend to talk about by name. If you make this list, you put “New York Times Bestseller” on the top of books. Every other list generally gets a “National Bestseller” headline. “Rankings reflect sales reported by vendors offering a wide range of general interest titles. The sales venues for print books include independent book retailers; national, regional and local chains; online and multimedia entertainment retailers; supermarkets, university, gift and discount department stores; and newsstands. E-book rankings reflect sales from leading online vendors of e-books in a variety of popular e-reader formats. Let me explain this. The Times list is a survey list, not a tabulation of total sales. This means that they poll a curated selection of booksellers to estimate sales. They literally decide which bookstores and retail outlets are “important” and then only count those sales, ignoring all other sales. They also heavily weight independent bookstore sales. This is because they think that the type of people who shop at indie bookstores are more “serious” readers and thus their reading decisions deserve more attention. I’m serious, they have said this in public. They also focus on individual sales and try to not include bulk sales in their calculations. They do this to prevent people from buying their way onto the list (which we discuss below). If you sell 1,000 copies to a company as part of a speaking engagement deal, this is a great way to move copies and make money, but it’s not very effective for hitting the list, because they won’t count it. And notice how they say that won’t count eBook sales from only one source? This is a direct shot at Amazon. They don’t like Amazon, and they don’t think eBooks are “real” books, and don’t want to see their eBook list dominated by Amazon’s Kindle list. Make no mistake about it: this is all just as elitist and snobbish as it sounds. They only recently started including eBooks in their lists, and they still heavily discount eBooks that have no print edition. Yes they track them, but they “count” their sales as less. 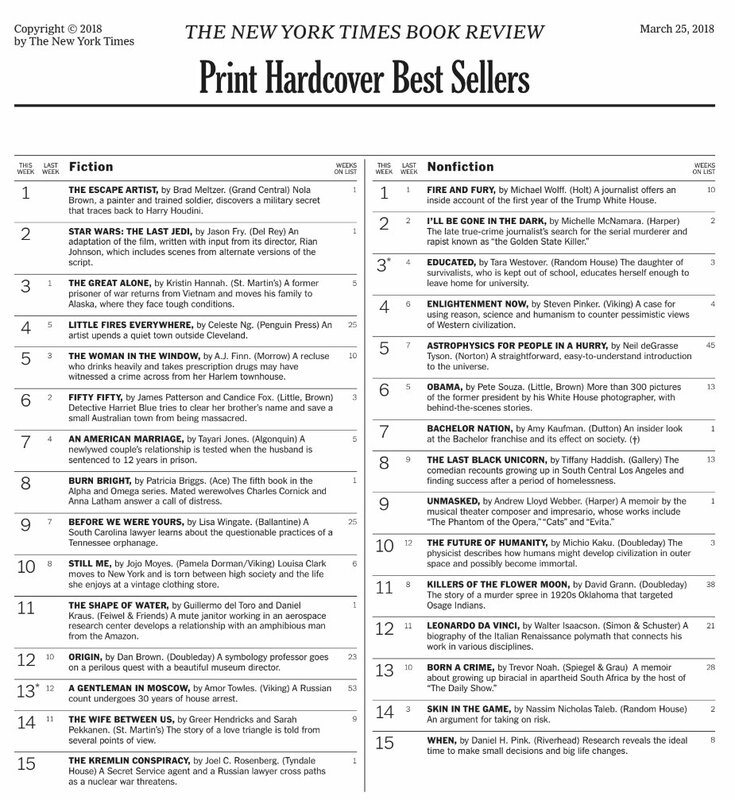 The reality is that even though the New York Times list is seen as the most prestigious, in many ways it’s the least connected to actual book selling reality. For the most part, they do not count self-published books. You must be through a traditional publishing company to even have a shot at this list. The category and window of your release all significantly impact the number of copies required to hit the NYT bestseller list, but 5,000 copies during any one-week period is the minimum. I would recommend 10,000 to be sure. Have your publisher pick a down time in publishing; the fewer big books you have to compete with, the better. This list is not as prestigious as the New York Times list, but for business books at least, carries almost as much social capital. And most of the weirdness and elitism from the NYT list doesn’t apply to the WSJ list. This is about as fair and reasonable as you can get—very much the opposite of the New York Times list. It usually takes about 3,000-5,000 sales to hit the WSJ bestseller list. You can absolutely get books that aren’t from traditional publishers on this list. We did it with James Altucher’s Choose Yourself, Josh Turner’s Connect, and many others. There’s not much trick here. Just get the sales and you can get on this list. The important thing is making sure all of the sales come from different people and are during the opening week. Bulk sales are not counted. This list used to be pulled straight from Nielsen Bookscan, but they recently changed and started making it a curated list, more akin to the NYT than the WSJ. Rather than separate out the categories of books, USA Today puts them all in one category. “Each week, USA TODAY collects sales data from booksellers representing a variety of outlets: bookstore chains, independent bookstores, mass merchandisers, and online retailers. Using that data, we determine the week’s 150 top-selling titles. The first 50 are published in the print version of USA TODAY each Thursday. The top 150 are published online. The rankings reflect sales from the previous Monday through Sunday. This list is not really looked at as a prestigious list. If you hit it, that’s great, but I have rarely seen a book on this bestseller list that isn’t also on the NYT or WSJ lists. What makes this list so strange is that you’ll see all kinds of things that don’t show up on the other lists—sudoku books, cookbooks, maps, things like that—though they have started to pull these out to focus more on “real” books. Thus the curation. So it’s not really a bestseller list, it’s just the top 100 sellers from their site. Well, it is an essential question if you want to call your book a bestseller. The rules for calling yourself a bestseller from any of the above outlets are clear. 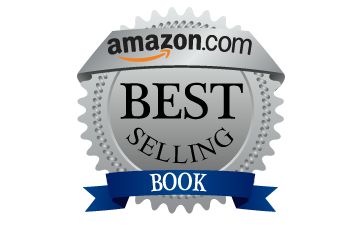 What are the rules for calling your book an Amazon bestseller? It’s an open question, and a lot of people abuse it. To show how ridiculous this “bestseller list” status is, one of the most brilliant marketers I know, Brent Underwood, took a picture of his foot, published it as a book, and hit #1 in with it. He detailed everything here, called out the whole group of people who sell this, and it’s a great read. It pulls back the curtain on this nonsense status symbol. Methodology: Pure sales, just on their platform. Updated hourly. They do seem to have an algorithm that ranks the books in a trailing sales fashion. For example, if you sell 10 books in one hour, and then none the next, you don’t just fall off their list that hour. You go down some spots and keep falling, unless you start selling more books. No one knows what Amazon’s algorithm is, and anyone who says they know for sure is probably lying (unless they work for Amazon). What most people are seeing is that the past 8 hours of sales are weighted evenly, thus making it a trailing algorithm. If you want to rank on Amazon, focus all your marketing efforts on one day—your release date, for instance. On an average launch day, it should take ~500 sales to make the Amazon Top 100. To get to #1 in a subcategory, it takes very few sales. Usually 10, depending on the category. Don’t try to cheat this! Amazon is in a better situation than anyone (by tracking IP addresses and credit cards) to know if you are gaming the system. You won’t get on their list without legitimate sales, so focus your energy there instead of gaming the process. Buying 1,000 books yourself won’t work. Amazon absolutely watches this and will punish you. Services exist that will guarantee—for a large fee—that you get on the list. They are very expensive, and for the most part, if you read the fine print, their results are not actually guaranteed (despite what they claim in their ads). I have never used one directly, but I know the three major companies well, because we’ve had clients who used them, and the results have been mixed. Sometimes they work well, other times not. I would estimate that a large number of books that hit the bestseller list are bought. At least 50-100 per year, on average for the last decade. And like I said before, buying a place on the list is a pure ego play. If spending $200,000 (yes, that’s what it costs, at least) to see your name on the NY Times Best Seller List is worth it to you, then go for it. Just be up front with yourself about what you are doing and why. If you want to read more about buying your way onto the bestseller list, the WSJ has a good article here, the LA Times piece here, and Forbes writes about it here. Should You Ask People for Feedback on Your Writing?